Last updated by Joe Spake at March 11, 2010 . 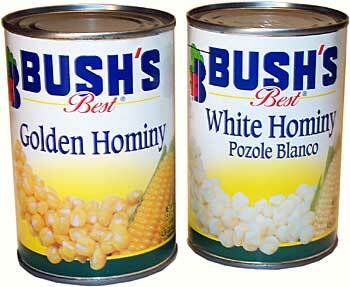 I first posted the Hominy Casserole recipe back before Thanksgiving , and got rave reviews from those who tried it.Â I even sent a few cans ofÂ Golden Hominy to my Facebook friend Tom Plant in California, who claims golden (yellow)Â hominy is rarer than gold out there, and that it’s not easy toÂ find the white. Have a Merry Christmas, a Huge Holiday Feast (with lots of sides), and a Happy and Prosperous New Year! This entry was posted in Culture, Social Media and tagged web 2.0, Web 2.0 on December 23, 2009 by Joe Spake. Thanksgiving week always begs the question:Â Turkey or Sides?Â I am a sides man.Â You can get about a million casserole variations at this time of the year: green bean, broccoli, squash, sweet potato, etc., etc., but a few weeks ago Katy made a Hominy Casserole that, I guarantee, will be the most popular side at your holiday feast.Â Some of you non-southerners may not know what hominy is.Â Suffice to say it is a corn product, with a long heritage.Â It’s where grits comes from.Â Try this, and you won’t be able to go back to the standard casserole fare. Enjoy, and have a Happy and Safe Thanksgiving Holiday! This entry was posted in Memphis and tagged hominy casserole, recipe, thanksgiving, Web 2.0 on November 24, 2009 by Joe Spake.